No need to turn oven on this summer. This no bake pie recipe so easy and delicious. Using a fork, in small bowl, smash 1 handful kiwi, set aside. In a bowl, add softened cream cheese and smashed kiwi, mixing well. Fold in cool whip. Spoon into graham cracker crust. Chill 3 to 4 hours, until set. Top with chopped kiwi, serve or cover and chill until ready to serve. I love that this is no bake! Awesome! I can just taste all these flavors...so very refreshing!! 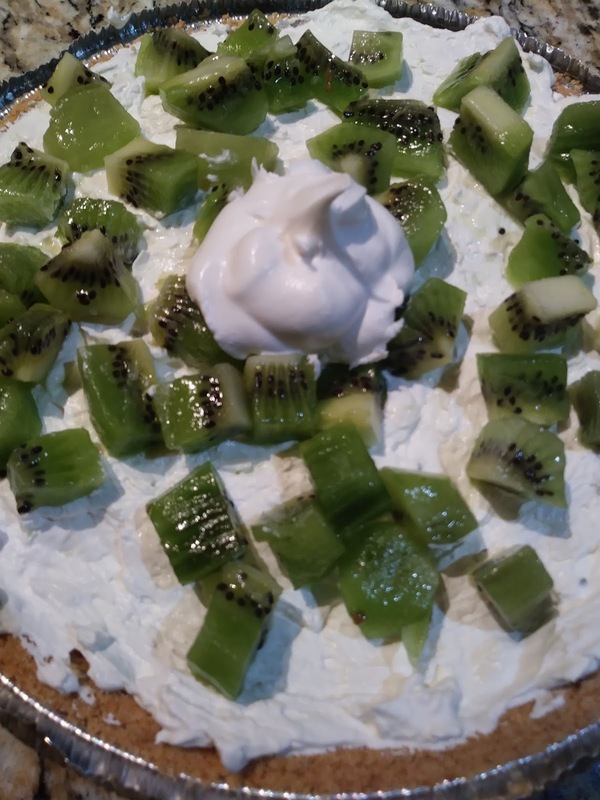 I've never heard of kiwi pie before, it's genius! Kiwi is so good. Healthy too.